A concept car that I somehow slept on all these years. Shown at Tokyo 2007. 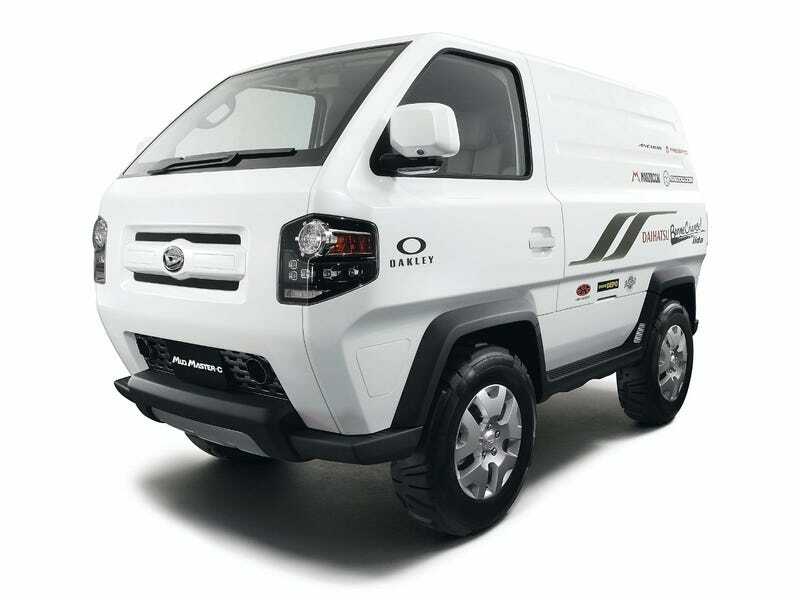 MUD MASTER-C (Mud Master-Concept)This small, tough transporter leverages compactness and light weight for special off-road agility and adopts body-on-frame construction for outstanding durability and cargo capability. This mountain bike support model was designed in collaboration with the leading professional cyclist, Raita Suzuki. Large gullwing doors on three sides give the MUD MASTER-C great convenience, ideal for loading and unloading bicycles in the “mountain bike support” model. Full-cabin styling creates a strong presence. The interior features a simple instrument panel with large-screen LCD multi-display and the water-repellent seats, reflecting the car’s rugged image.